There has been talk of the Australian property boom beginning to wind up in 2018 after less growth in 2017. While a Melbourne property market crash doesn’t seem imminent yet, several property forecasters have suggested that it is likely to experience less growth in the next few years. Melbourne property is considered to be in one of the strongest positions of the Australian capitals at the moment, particularly compared with Sydney prices, which are expected to drop considerably from 2018. However, there’s a possibility that Melbourne prices will at least cool – if not decline – within the next few years, so those with property to sell may look to do so in the near future. Those with houses to put on the Melbourne real estate market are in an ideal situation to capitalise on demand trends. The QBE Australian Housing Outlook for 2017-2020 has predicted that Melbourne house prices will grow a cumulative 10% by 2020, supported by population growth. This means that those intending to sell a house in the short term are well placed to make a strong profit on their original investment. If that includes you, you can find out how much your home may be worth by claiming your free online property report from Upside. This report includes in-depth data on recent home sales in your area as an indicator of your property’s value, and it only takes 30 seconds to request. 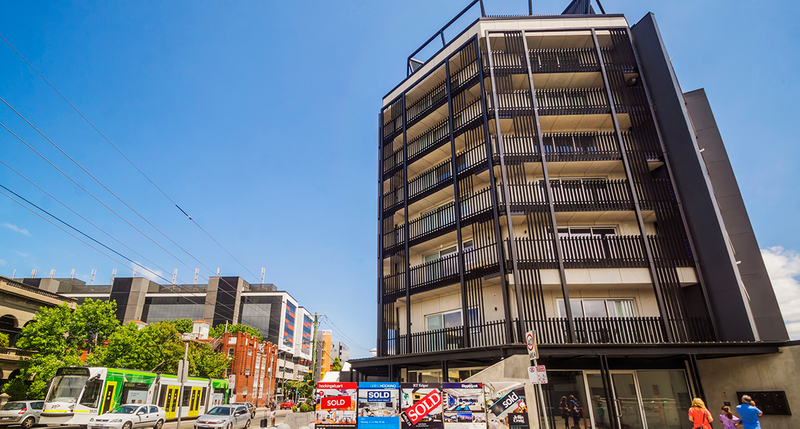 Renovated apartment block in South Yarra: What's the outlook for Melbourne apartments in 2018? While houses are in high demand, Melbourne’s booming apartment construction is likely to lead to a cooling of the unit market. In its Residential Property Survey, NAB has predicted that 2018 will see growth in apartment prices of 1.2%, but will fall in 2019. QBE’s Australian Housing Outlook has predicted an overall drop of 4.8% by 2020 for apartment value. Therefore, those looking to sell apartments in the Melbourne market may consider this as a factor when deciding when to sell. Melbourne has had the largest growth rate of any Australian capital city for many years. In 2017, it was found to be the highest growth city, as well as the most densely populated. In particular, Melbourne’s outer west was the largest growth area of Australia, growing by 28,800 people between 2006 and 2016. Melbourne was also the top auction performer in the country in 2017, hinting that the population growth makes the property market especially competitive. This trend aligns with the fact that Melbourne has been rated the most liveable city in the world for seven years running, making it an attractive opportunity for investors and buyers alike. Four of the five fastest-growing suburbs in Australia are in Melbourne, with South Morang, Cranbourne East, Craigieburn, and Point Cook outranking most suburbs in the country in terms of population growth. This could mean that property for sale in Cranbourne East and other suburbs like it may experience demand from both buyers and renters, making it a strong market for anyone looking to sell or invest here. 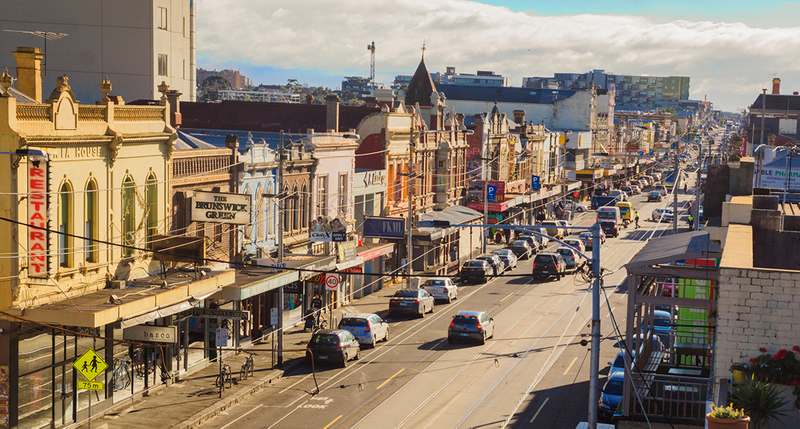 Melbourne suburbs like Brunswick have experienced gentrification as a result of their proximity to the CBD driving demand. Many property forecasters have noted that houses in the inner and middle suburbs of Melbourne are in high demand for property buyers. Inner city suburbs like North Melbourne, Port Melbourne, Richmond, Kensington, and Fitzroy have experienced significant gentrification as a result of their proximity to the CBD. Areas particularly earmarked for above-average growth include Frankston, Werribee, Toorak, and Cheltenham. Meanwhile, some of the highest growth suburbs in Melbourne are the middle-ring suburbs including Footscray, Avondale Heights, Glenroy, Oak Park, and Ringwood. These areas experienced growth in property values between 9.2% and 11.9% in 2017. However, even houses in the outer edges of Melbourne are attracting significant interest from investors. Rockbank, Melton South, Millgrove, Melton, Clyde, and many others returned high rental yields in the 12 months to January 2017. Melbourne’s property market is in a strong position for those looking to sell their home and make a strong return on their original investment. Although some locations and property types may be more in demand than others, in general, Melbourne’s property prices are slated to remain strong supported by population growth prospects. Overall Australian property trends point to a potential decline, so property owners may opt to sell sooner rather than later to maximise their return. If that’s you, get in touch today to get the ball rolling on selling your home.